Another series of photos about the Portuguese artistic ceramic tiles (Azulejos) in Tomar. This is a widely used decoration method and a long tradition in Portugal. 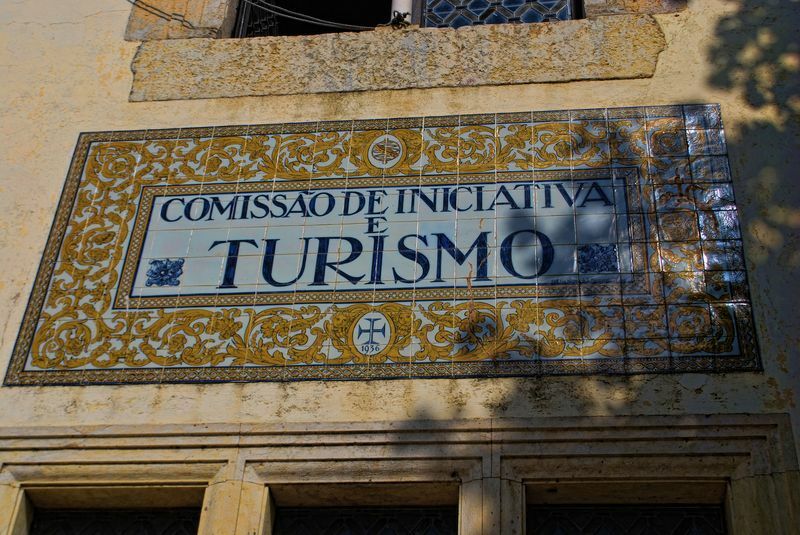 The first photo was shot at the building of the Tourist Centre located at Rua Serpa Pinto (Corredoura) and it says ‘Comissão de Iniciativa e Turismo’ (Committee of Initiative and Tourism). 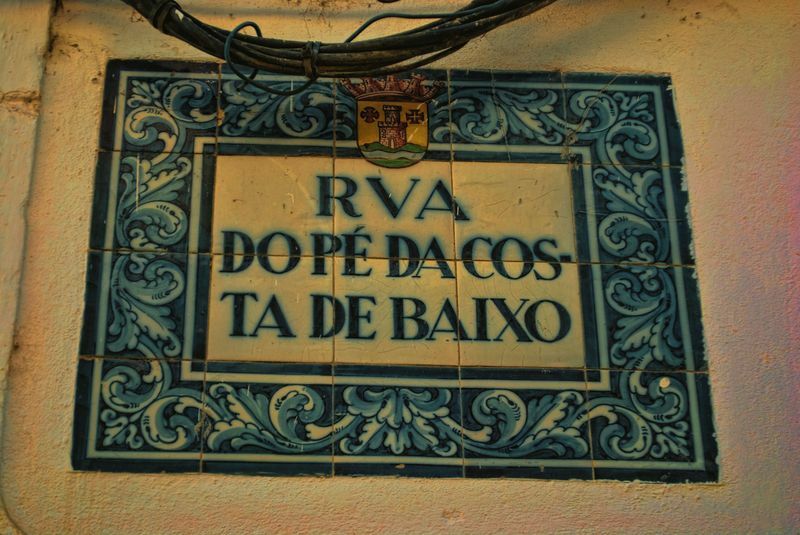 The second photo is a street name sign of a narrow street in Tomar called Rua do Pé da Costa de Baixo. 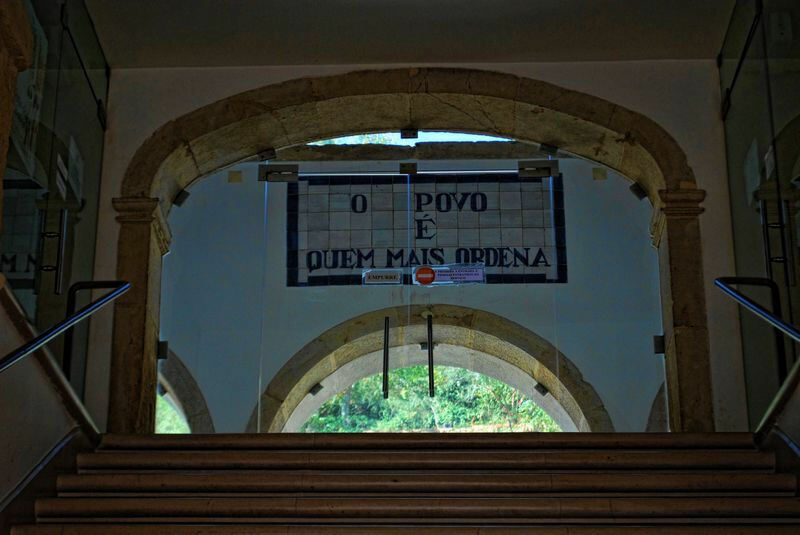 The third picture of the ceramic tile sign is located on top of a staircase in the Town Council Building located at Praça da República.